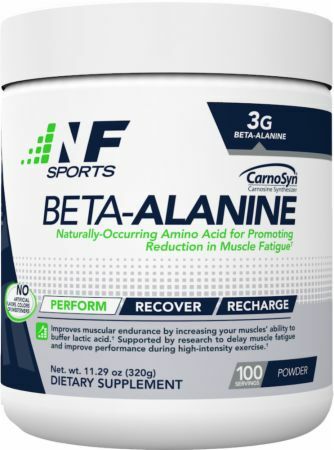 NF Sports Beta-Alanine at Bodybuilding.com - Best Prices on Beta-Alanine! I've been taking this mixed with my pre-workout now for a few months and absolutely love it. There's been a noticeable difference in my stamina. I'm able to finish my workouts much stronger. For the small pricetag, this is absolutely worth the money and I gladly recommend this to anybody. Very effective! I add 1 scoop to my NF Sport Pre-Workout everyday! Tingely you got it! but also love it cuz it allows me to push further and not feel that sore doms effect feeling! love it! Beta alanine is one of the most scientifically supported supplements behind creatine monohydrate. I take this before long training sessions and can feel a noticeable difference in my endurance while taking it. I highly recommend this product to anybody who is looking to increase their work capacity. Great for those days when you push it harder than usual. Since I've started taking NF sports beta alanine my recovery times have rapidly gotten shorter and I can get back at it right away after a hard day! My job itself is very physically demanding-so that means having to hold back in my activities before work....not anymore!!! 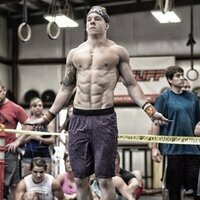 I have been training for over 10 years now and as far as aminos goes this is on the TOP of my list. Not only can i mix it with the whey protein I take before every workout which makes it super convenient but it is a product that actually does what it advertises. I have been able to take my training to a whole different level, seeing results week after week and feeling very satisfied after every workout. I LOVE THIS PRODUCT! I am huge supporter of Beta Alanine and this company bay far nailed it. 3.2 grams per serving. As a performance based athlete- you have to try this! Amount Per Serving . % Daily Value . Directions For Beta-Alanine: Begin by consuming 1/2 a serving to assess tolerance. Any extra sensory effects of the skin while using Beta-Alanine are normal and may subside after continuous use. Mix with 6-8 oz of water or juice 20-30 minutes before your workout. For best results, consume on your non-training days as well. You can consume 1/2 a serving of NF Sports Beta-Alanine with your favorite stimulant NF Sports Pre-Workout. Do not combine with any other pre-workout or Beta-Alanine product. Warnings: Check with a qualified healthcare professional before using this product if you are under 18 years of age, pregnant or nursing or if you have any known or suspected medical condition(s) and/or are taking any prescription or OTC medication(s).